Write a description of this setting. Which adjectives could you use to describe it? What sort of story might happen here? What characters could be in your story? Who or what might live in this place? What would you want to do if you were in this place? How could you travel around here? 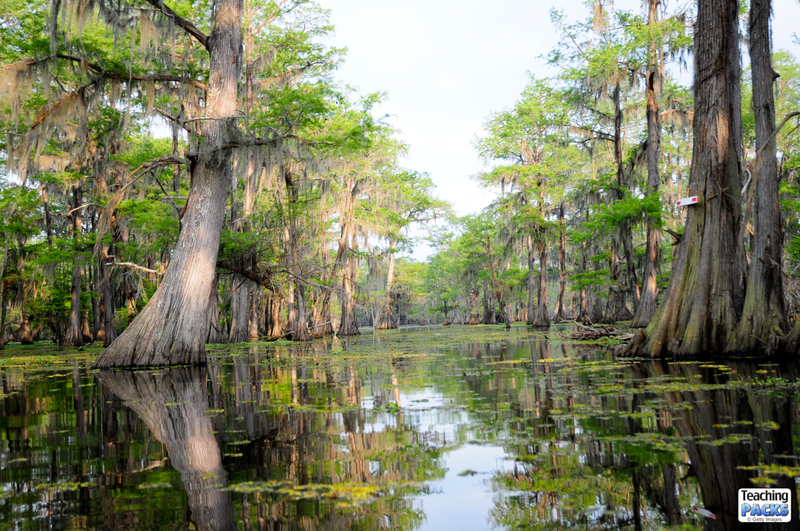 This picture is of a swamp in Louisiana, USA. Do you live near to any kinds of wetlands or swamp? What kind of animals and plants live there? Find out information and present it in a book or as a PowerPoint presentation. Research and draw a food chain or web for a wetland habitat. Create a swampy home for Shrek in a shoebox.